This entry was posted on Monday, June 17th, 2013 at 2:55 pm	and is filed under . You can follow any responses to this entry through the RSS 2.0 feed. You can skip to the end and leave a response. Pinging is currently not allowed. 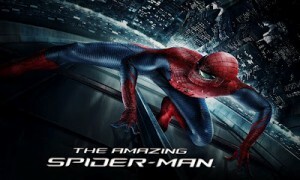 « Sony Announces ‘Amazing Spider-Man’ 3 & 4!!! [to Sophie] Do not move, woman. Cripple, put the box on the table. What, this trifle? Perhaps we can make a financial arrangement. Put the keystone on the table. You will not succeed. Only the worthy can unlock the stone.